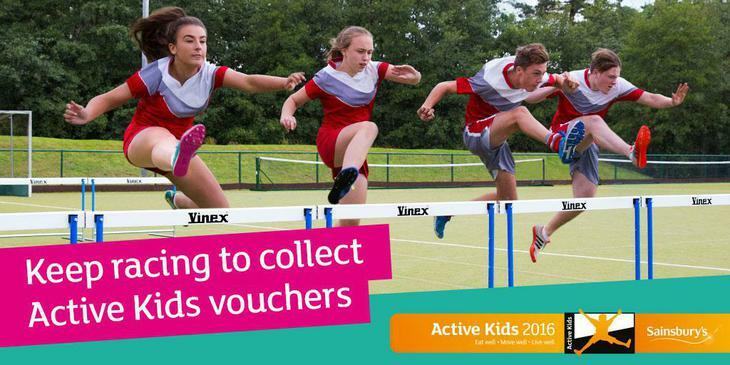 We are at the point now where we need to start thinking about how we are going to spend our Active Kids vouchers. Please remember to pick up vouchers when you shop or buy petrol at Sainsbury’s. With these vouchers we can give the kids some fantastic new equipment. You can no longer collect the vouchers in store, so help us collect as many vouchers as possible, but looking in your bags and purses to see if you have any hiding! We are very low on vouchers so far and we are coming close to the deadline to make the order. Can parents please ask friends and family to collect as many vouchers as possible! This will entitle the school to spend the vouchers on a wealth of equipment for them to use at school. Please bring any vouchers to the main office !! Our current total is 866, and if you bear in mind that 1 golf set is 997 Vouchers....we need more! !